"We know now there were no weapons of mass destruction over there. 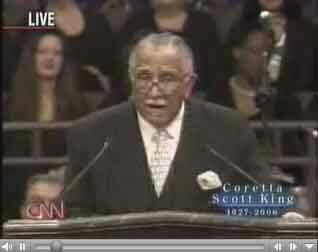 [Standing Ovation] But Coretta knew and we know that there are weapons of misdirection right down here. Millions without health insurance. Poverty abounds. For war billions more but no more for the poor."